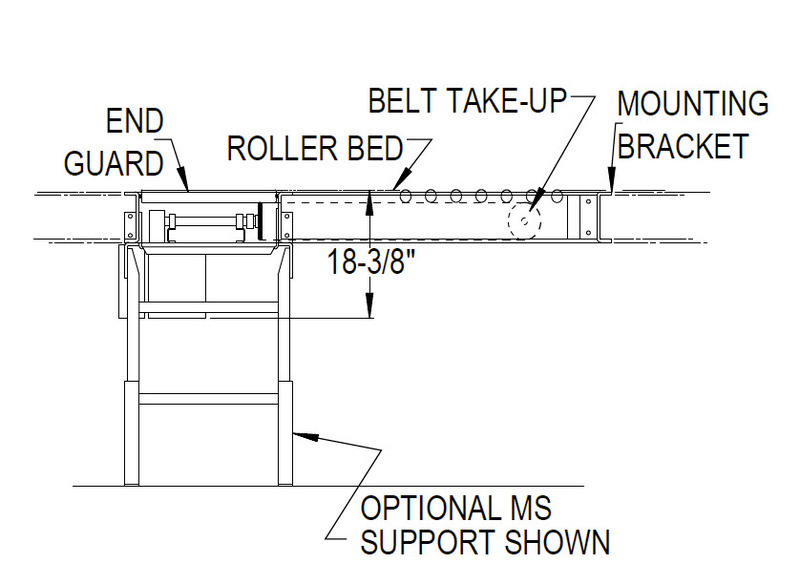 Our Model 190-LRS belt-driven, live-roller curve section conveyor provides a positive drive for negotiating 30°, 45°, 60°, or 90° turns. This conveyor section can be self-powered or slave-driven from a 190-ACC, LRC, or LRSS conveyor. Roller bed with 2-1/2″ dia. tapered to 1-11/16″ dia. roller x 14 ga. and 1.9″ dia. roller x 16 ga. galvanized tube. 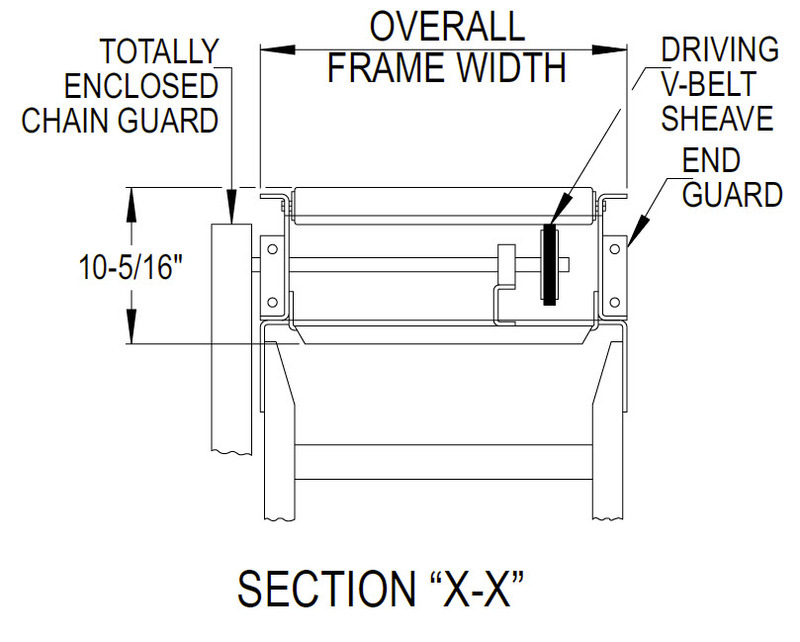 Rollers are mounted in a 6-1/2″ x 12 ga. powder painted formed steel channel frame. Sealed worm gear reducer drive by V-belt. No. 50 roller chain to drive sheave.